Cradoc is a Lead Creative School. 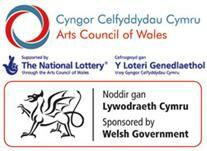 The Arts Council of Wales believe that creativity is essential to the success and fulfilment of young people; that it is the basis of lifelong learning, and that this begins in our schools. Our teachers work very hard to deliver a curriculum which is engaging, inspiring and motivating for the children that we teach. We also wanted to provide children with opportunities which help them to develop skills across the curriculum and the skills that they need to understand the world around them. We applied to become part of the Lead Creative Schools scheme to give us the opportunity to further develop teaching and learning within our school, making sure that we provide the best possible outcomes for our children and helping them to become life-long learners. We recognise that different children learn in different ways; we wanted to provide increased opportunities for children to learn in their chosen style and to challenge them in new situations. After we were appointed as a Lead Creative School the children and Mrs Harley worked with our teachers, and our ‘Creative Agent’ Guy, to appoint Creative Practitioners to come to work in our school. During the interviews we came across two brilliant people, Lynn and Jim, who we believed could help us to achieve our vision within school. The aim of our project was to help children to develop skills in literacy and IT, through their engagement with the arts. “I just want to write all day!” Year 6 pupil. When I write I feel like I’m flying, skydiving deep. Words running, words floating, words drifting. Words are fireworks, exploding, zapping. A chocolate fountain, dripping from the clouds like rain! The first year of the project concluded in April with the children showcasing to the parents the work they have been doing and the animations they have created. The children were clearly very enthusiastic about what they had been learning and shared their new skills very well with parents and visitors. Mrs Harley is keenly starting plans for our second year as a Lead Creative School and we can’t wait to get started.